Hu Ying is a doctor with cheerful personality. Her passion and breezy personality is a magic weapon that helps patients to regain faith for life. "I am very easy to get along well with a lot of people, because I never care about what I have lost. But as a doctor, I have my own principle, that is not to give up patients under any circumstance”, said Dr. Hu in a tone that cannot be denied and aggressive. She has saved many cancer patients' lives in her medical road with her persistence. She helped them control the worsen condition and pursued a better life. Dr. Hu said “We cannot give up as long as there is a glimmer of hope. If the doctor gives up, the patient will have no faith to struggle against their diseases any more. Cancer is quite different from others diseases that can be treated in a short time. Cancer patients have to bear a slow and long-term treatment period, so their journey to fight against cancer is a hard one.” No matter how serious the patient’s condition is, Dr. Hu Ying will always study their condition soon after they are admitted in the hospital, so as to make the best treatment plans. In years of cancer treatment experience, Dr. Hu Ying is masterly using interventional therapy, 125I seed implantation, cryotherapy, radiofrequency ablation and other minimally invasive therapies. She has successfully treated lots of cancer patients, among whom breast cancer and lung cancer patients are taken the majority. 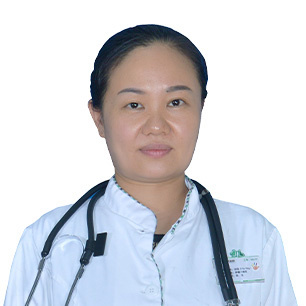 Dr. Hu Ying graduated from Tongji Medical College, Huazhong University of Science and Technology. During Jan. 2003 to Sep. 2003, she was in Jingzhou First People’s Hospital for further study. During Mar. 2004 to Sep. 2004, she went to Military Hospital for further study. Every two years, Dr. Hu will study and take examination in Physician Association. She took part in DXY.cn forum. (DXY.cn is a Chinese medical community site).